SANTA TERESA, NM – It’s a Tuesday morning in June and a few hundred head of cattle are running across the U.S.-Mexico border. 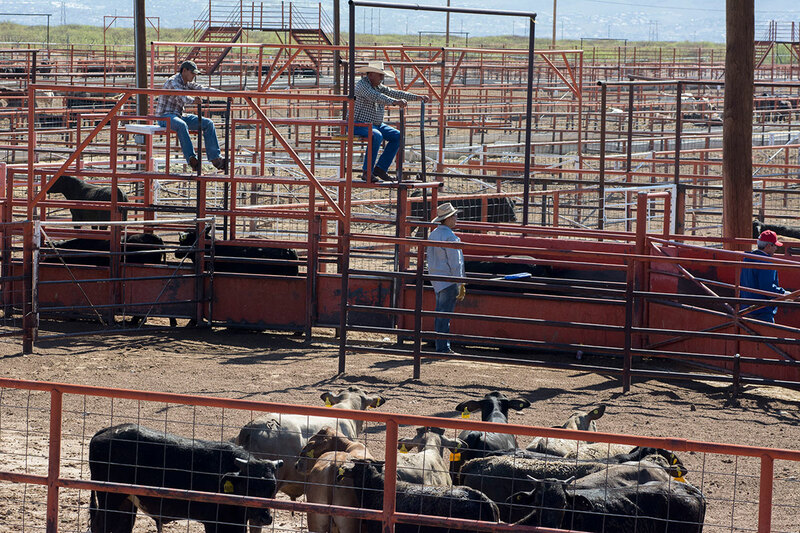 The Santa Teresa International Export/Import Livestock Crossing is the busiest in the U.S. It is one of the few crossings where cattle are permitted to run across the border, avoiding the need for cattle trailers and long lines at international ports. The facility is owned by a cooperative of 5,000-7,000 Mexican ranchers, Unión Ganadera Regional de Chihuahua Co-op Inc., and is 35 acres on the U.S. side and about a third larger on the Mexico side of the border, Manzanares said. The crossing is a cost-saver for ranchers on both sides of the border, said the crossing director. Cattle transported in trucks can lose 20 percent of their weight during transportation. Walking across the border is less stressful for the animals. The U.S. border fence separates the two halves of the cooperative. A U.S. Customs vehicle watched from the U.S. side as the cattle crossed. Authorities from both countries inspect the cattle before it moves. “They go through USDA inspectors on the Mexican side,” Manzanares said. 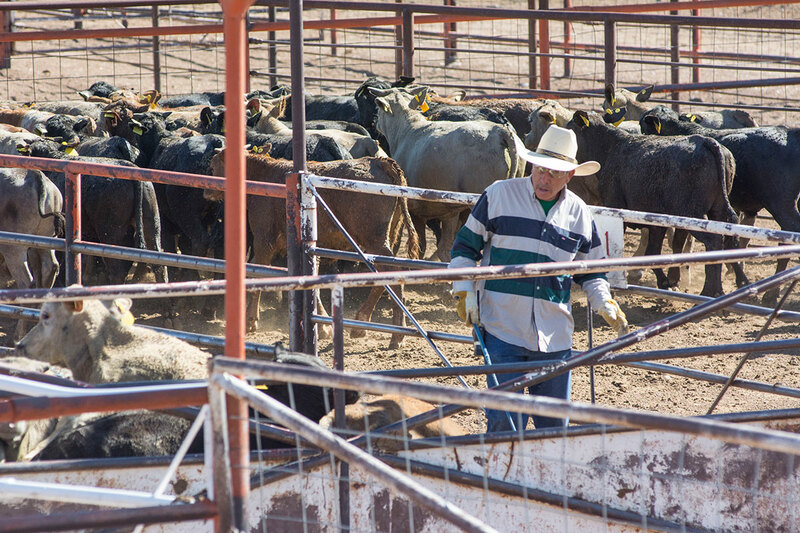 Manzanares took over the crossing in 2007 after serving a number of years as executive director of the New Mexico Livestock Board. 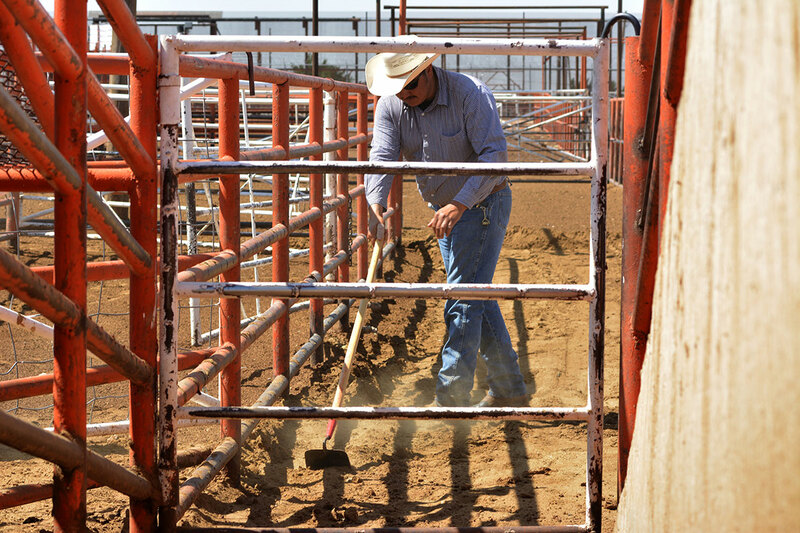 “Since I arrived in 2007, we’ve put in $1.3 million infrastructure improvements, pens, additional corrals, facilities, and the cattle have come,” he said. cattle crossing New Mexico Livestock Board U.S.-Mex Unión Ganadera Regional de Chihuahua Co-op Inc.
Kym is a senior lecturer and coordinator of the journalism sequence at Texas State University in San Marcos. Before joining the faculty at Texas State, she worked as a daily newspaper journalist in Arizona and Texas.